Savannah is still young enough to not be into all of the Nickelodeon shows, but she does have some that she likes. 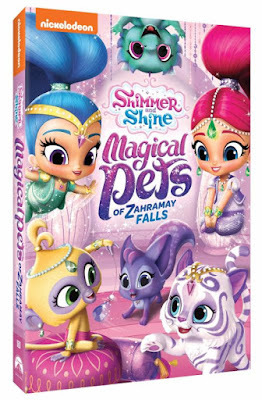 We have not introduced Shimmer and Shine on a regular basis, but I have seen the kids going crazy over it and she loves it when she does get to see it on TV. Lucky for Shimmer and Shine fans, Nickelodeon has released a new DVD. We love the First Nut Job, so we are so excited to see this one! Just thought I would share with you! Maybe I can take the kids as a treat to celebrate my birthday? It comes out August 11, so get ready! 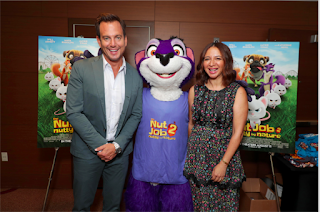 THENUTJOB 2: NUTTY BY NATURE In Theaters August 11 Surly Squirrel (Will Arnett) and the gang are back. We are once again in Oakton where theevil mayor has decided to bulldoze Liberty Park and build a dangerous amusement park in its place. Surly and his ragtag group of animal friends band together to save their home, defeat the mayor, and take back the park. THENUTJOB 2 also features the voice talent of Katherine Heigl (TheNutJob), Jackie Chan (Kung Fu Panda 3), Peter Stormare (Penguins of Madagascar), Bobby Cannavale (Ant-Man), Isabela Moner (Middle School: The Worst Years of My Life), and Maya Rudolph (TheAngry Birds Movie). 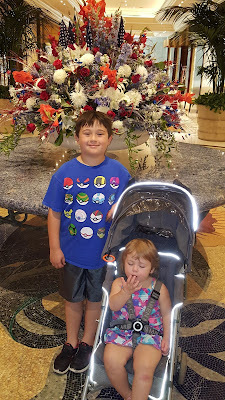 If you remember me talking about how much we love the Beau Rivage in Biloxi, Mississippi, you might be curious as to why I take my kids to a "casino." There are some people that just don't realize how much there is to do there. Today, I want to share more about "The Beau!" Life has been pretty hectic lately around here. (Saving that for another day!) I just wanted to recap about an amazing time we had over summer break and share a bit with you. If you have been here for a while, you might know that we love Biloxi, Mississippi. In 2015, they went and upped their game, bringing in a Minor League Ball team! (See what I did there?) You read that right, they now have a baseball team! 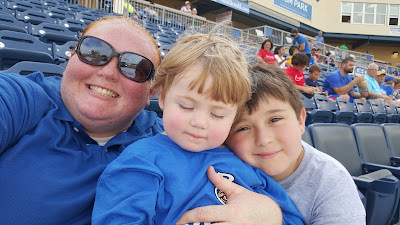 Last year, we were not able to make it to a game, so when we planned our summer trip for this year, we planned it based on their home schedule and I am so glad we did! FTC Compliant Review Policy: We were given complimentary tickets. I was not required to post this, but I did want to share.